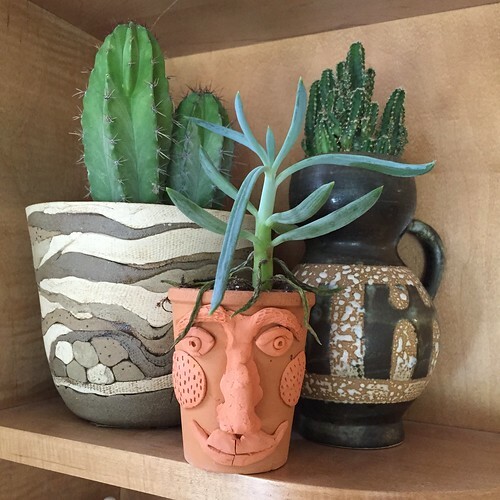 One of my crafty life goals is to learn how to throw pottery on a wheel. I can just see myself all Ghost style making ceramic magic. As a warm-up I have been playing with a lot of air-dry clay. You can make all kinds of fun things with this stuff. 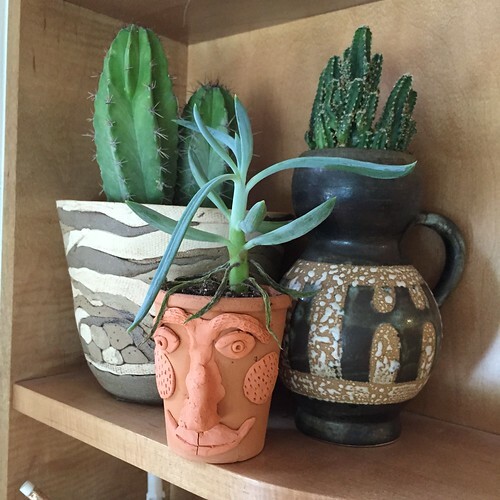 I thought I could embellish store bought pots by just adding a bit of clay. I was almost right, all I needed was some Tacky Glue. 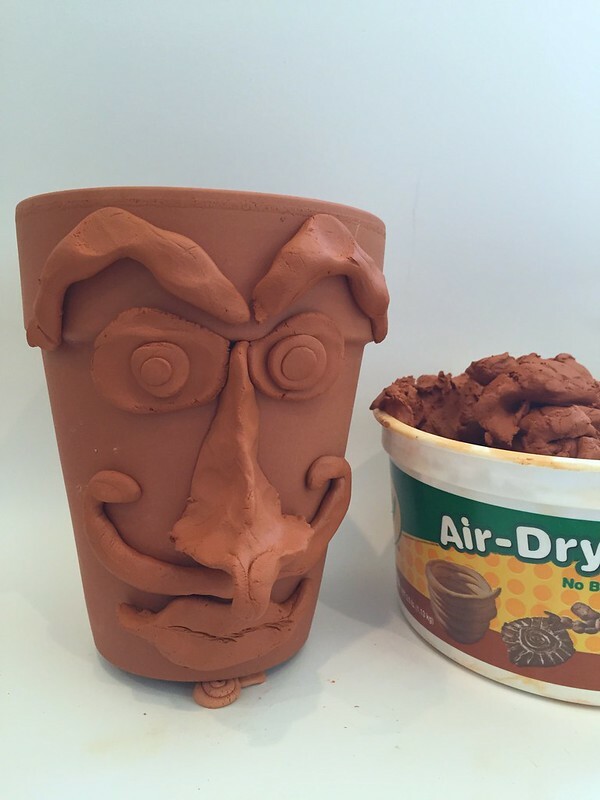 Using your air dry clay create a face on your pot. 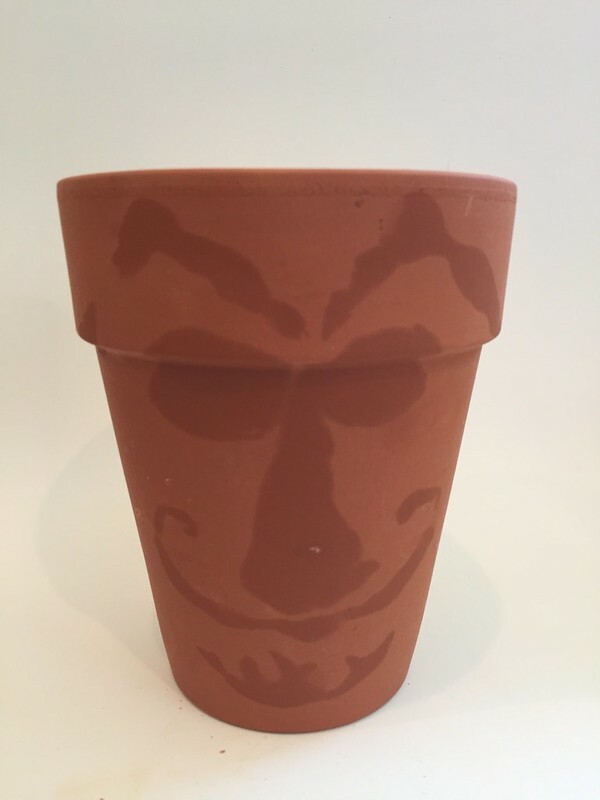 My original theory was that the clay would stick to the pot forever and ever Amen, but alas I was wrong. After a sad morning of waking up to broken clay facial features on the floor I realized I needed my old friend Tacky Glue. Either way sculpt your face using the pot to start so the backside of your features has curves. Next take your facial features off the pot and set aside to air dry overnight. 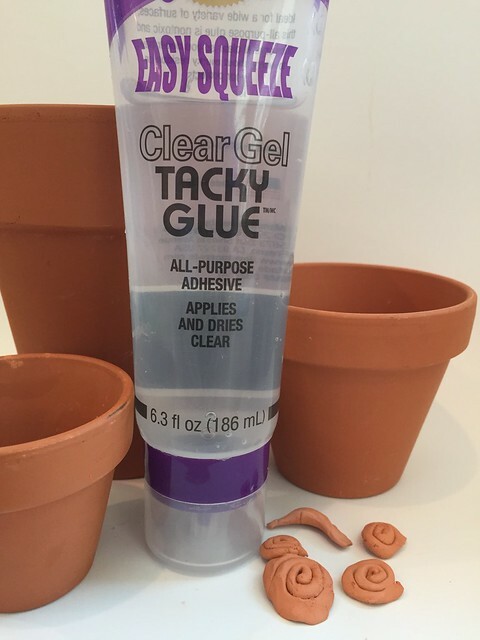 When your pieces are completely hard and dry use your Easy Squeeze Tacky Glue to add to your pot. 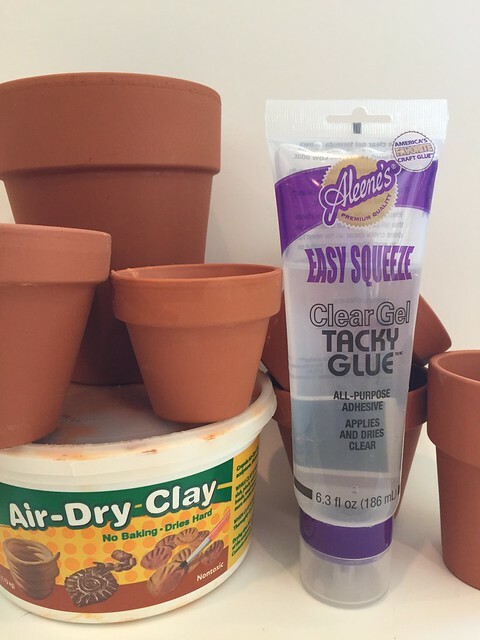 Allow your glue to dry, add a plant and step back and bask in your pottery glory. 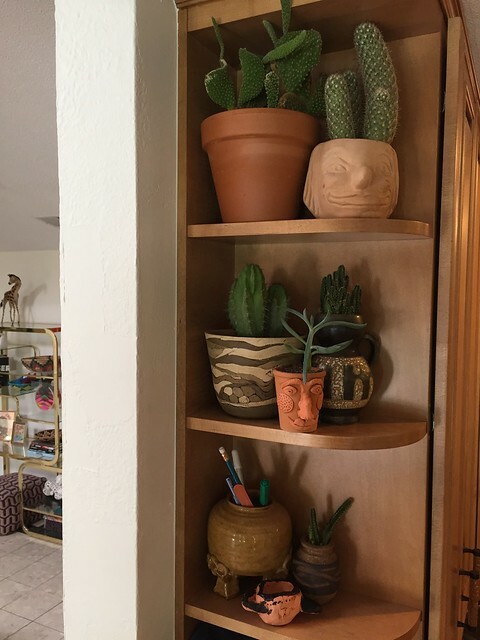 I'm one step closer to becoming the potter of my dreams! How many plants do you have now? You can visit this page and find me there. That's quite handy.